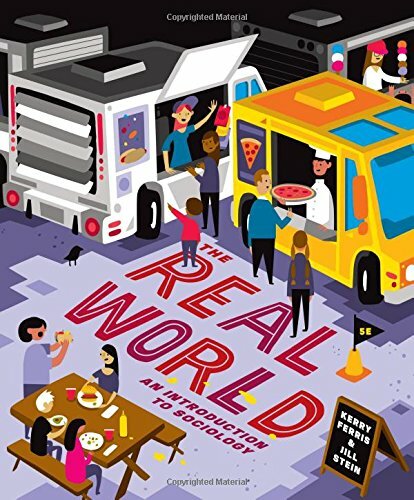 [PDF] The Real World: An Introduction to Sociology (Fifth Edition) | Free eBooks Download - EBOOKEE! Description: The most relevant textbook for todayâ€™s students. The Real World succeeds in classrooms because it focuses on the perspective that students care about most?their own. In every chapter, authors Kerry Ferris and Jill Stein use examples from everyday life and popular culture to draw students into thinking sociologically and to show the relevance of sociology to our relationships, our jobs, and our future goals. New to the Fifth Edition, two Data Workshops in every chapter give students a chance to apply theoretical concepts to their personal lives and actually do sociology. 2017-11-20[PDF] The Real World of EU Accountability: What Deficit? 2017-01-10[PDF] The Real World of EU Accountability: What Deficit? No comments for "[PDF] The Real World: An Introduction to Sociology (Fifth Edition)".